Ahead of the grand launch scheduled for the 2017 flagship from Samsung, the company is making sure all its current eligible devices are up to date. While the Galaxy S7 has already received the latest Android 7.0 Nougat update and Galaxy S6 is on its way, the February security update is rolling out for the devices. While most countries where the Nougat update was rolled out, the February security patch was rolled out as well, but this wasn’t the case for the users in the Indian subcontinent. Bringing in a range of fixes from Google, the February update rolled out by Samsung brings fixes to seven vulnerabilities affecting only Samsung devices. 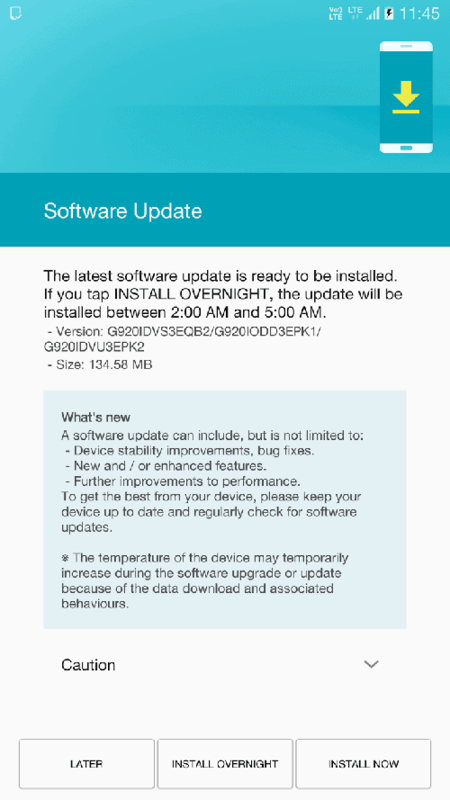 The 97MB update for the Galaxy S7 comes with the build number G930FXXU1DQBO, the update is expected to bring improvements to performance, bug fixes and enhancements. Build number G920IDVS3EQB2 weighing in at 135MB brings the same enhancements with no new features expected for now. If you own a Galaxy S7 or S6 in India, expect an OTA update for the February security patch to hit your devices soon. You can also go ahead and check for the update manually through Settings->About phone->Software update->Check for updates.